It was only a matter of time before the politically correct establishment took aim at the nation’s currency. It is not enough that the value of the dollar should slowly decline toward monopoly money, it must also eventually look like it as well. The staid dollar notes were just too correct to survive. They have to be changed. Thus, when the Treasury Department announced that Harriet Tubman will soon appear on the twenty dollar bill, it was wildly acclaimed by liberal media. 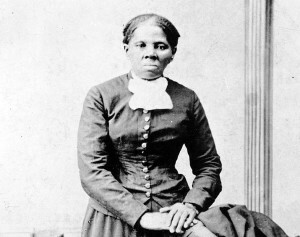 The worthiness of Harriet Tubman is not the matter to be debated in this case. Her countenance is in no way unfit to appear. The real issue is the propriety of turning dollar bills into the billboards and playthings of politically correct politicians and bureaucrats who will change everything to promote their ideological agenda. The figures that appear on money should not be just anyone who deserves recognition for anything. The proper figures should have to do with the nature of money itself. Money needs to send a message and should be designed accordingly. 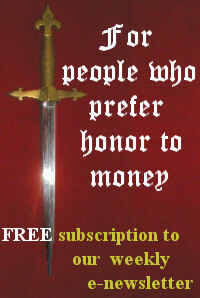 Like it or not (and many do not), money has to do with authority. Political authority, to be precise. Aristotle recognized the fact that money represents the ability to get a unit recognized and accepted as payment. He made it clear that it is the will of a political authority that makes money what it is. This is aided by the fact that a currency’s acceptance needs to be universal by reason of taxes, since all people of a nation need a uniform means of payment. For this reason, basic monetary units have always featured the profile or name of the political ruler or authority who issued it. It is the way money manifests the willingness of a government to stand behind its money. When Christ was confronted by the Pharisees as to the legitimacy of paying the tribute tax to Caesar, He asked whose face was upon the coins being used. “Caesar’s,” they answered, since it was by his authority that the denarius was accepted. Christ replied that people should render to Caesar that which is his, since it was indeed Caesar’s authority that made the coin legal tender. When money was later Christianized, Caesar’s face was joined by symbols of the source of all authority, which is God, in whom the nations trusted. In addition to Caesar’s visage, the cross, religious symbols or representations of Christ were added to underscore money’s foundation in this highest and supreme authority, which was then recognized and venerated throughout Christendom. And so it is proper that money send a message of strength and authority to those who use it. It should reflect a nation’s perception of that authority. It should be an organic process that allows for the development of a consensus about that message. So it was that American money developed over time according to the usages and customs of the nation. And while there have been different objects or people on the coinage, for the most part American money has expressed executive authority or those personages like the Founders upon which America first asserted its independent political authority. Unlike Britain, American executive figures change every four years making it impractical to change the currency to reflect the current president. But using past presidents symbolizes the continuity of that executive power and authority that support the currency. Another important source of consensus in America is the concept of liberty as a source of authority. Thus, some coins, like the Liberty quarter and the Morgan dollar, displayed abstract representations of liberty as a goddess. While such representations lost favor over time, the word liberty organically entered into use and continues to appear on all currency to this day. Finally, during the Cold War, the need to appeal to a higher authority was confirmed with the mandated phrase “In God We Trust” that must appear on all American currency. Thus it was that American currency developed organically over time…until now. When money becomes a medium to recognize just any figure, one among the many who are indeed worthy of recognition, it defeats the purpose and message of money. If America is to return to order, money must not become a plaything of politicians and media who will use and cheapen money as a marquee or billboard for their usually liberal causes. Of course, money can and should change. However, it should be around representative leaders that bridge partisan divides. More often than not these political statesmen tend to be historic since time erases issues that can be so divisive. There should be debate about the changes since these are things that should be proposed not imposed, especially in today’s polarized times. Change for change sake is hardly a wise policy. Perhaps even more disconcerting is the fact that should such changes become the norm, a new authority will be formally acknowledged: that of a politically correct establishment that intimidates those in government and dictates policy. This unelected and unaccountable authority will artificially impose its will upon the nation – and the symbols that represent it. 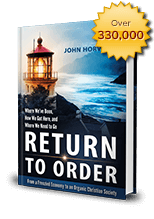 This entry was posted in Featured and tagged America, money, politically correct, rule of money by John Horvat II. Bookmark the permalink.